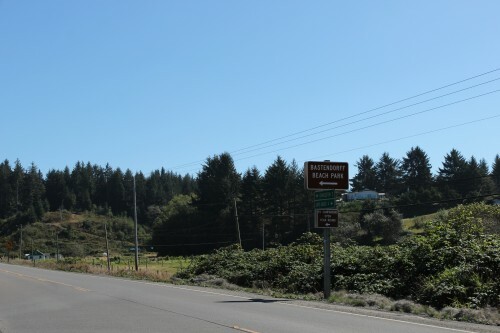 Hwy 101 mile marker 235a. Bastendorff Beach is the first of five beaches, parks, and viewpoints on the "Charleston Loop". 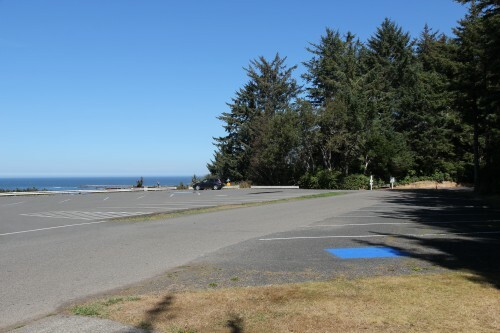 Site Resources: camping area (25 sites), one group camp site, RV area (74 sites), two cabins, yurts, horseshoe area, basketball court, large play area with "forts", etc, picnic tables, restroom, showers. 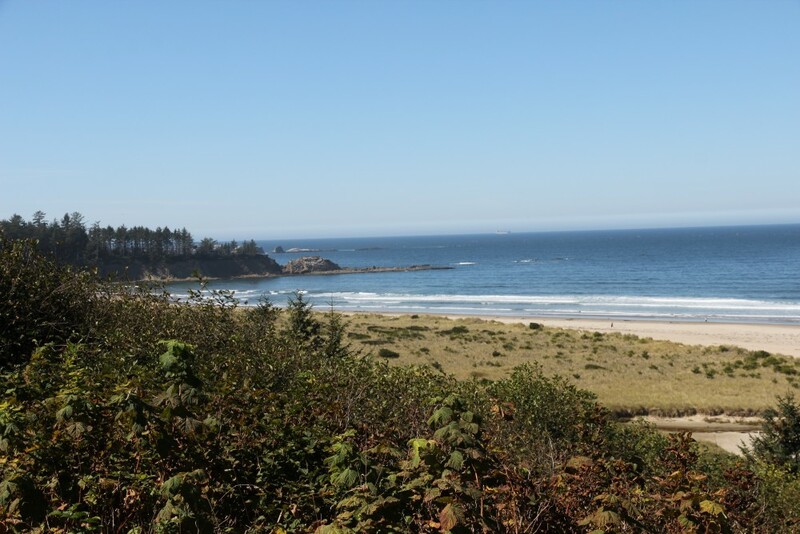 Coos County parks link:Bastendorff Beach No fee required to visit the beach. Looking North from the beach parking lot. 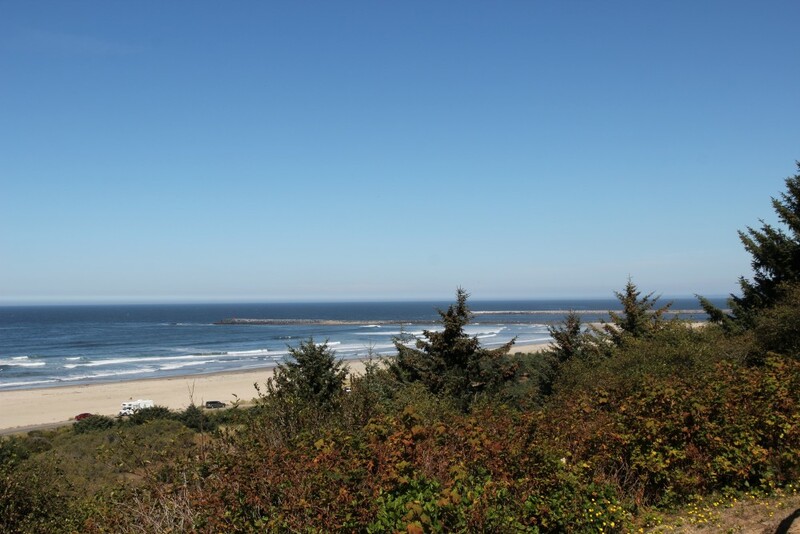 Yoakam Point can be seen in the distance jutting out into the ocean.